One thing that was very important to us in planning the wedding was considering the environmental impact of everything we were using. 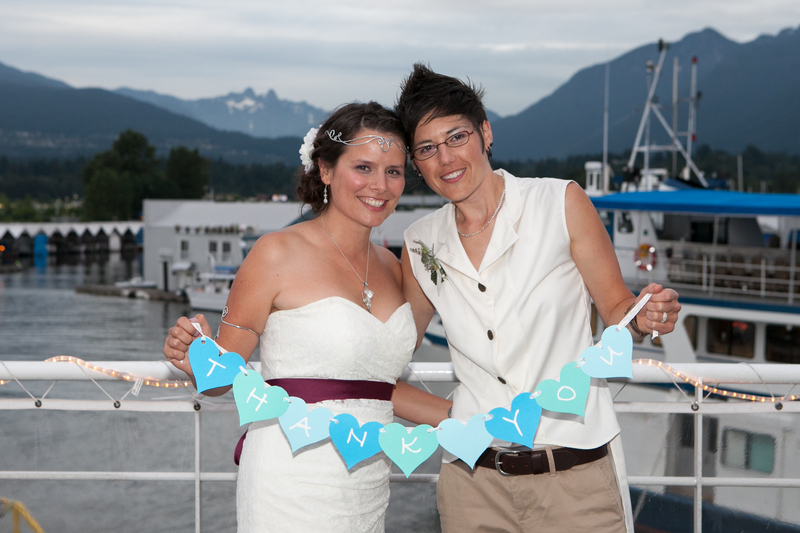 Our guidelines were, it had to be second-hand, recyclable, biodegradable, and/or useful or re-sellable post-wedding. I’m proud to say we achieved our goal and created very little waste. For me, being concerned about the negative human impact on our natural environment is not trendy. I was the President of my high school’s Environment Club! I am happy to see how our Western society has collectively increased its awareness and concern for this issue in the last few decades. “Green weddings” are definitely a trend I can get behind. I’d like to share how our wedding décor was eco-friendly. For our aisle décor, we used potted mini rose bushes. 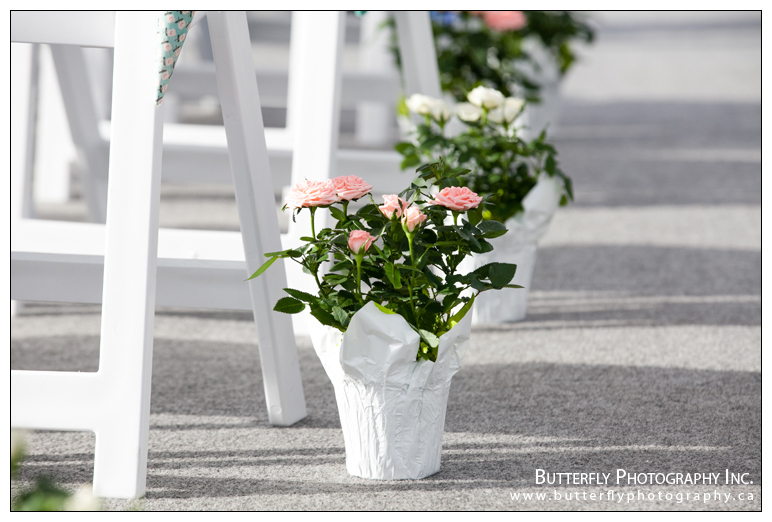 They looked great, were easy to move around (our space was used for both the ceremony and reception, so required a quick turn-over), and doubled as a favour since some of our guests with gardens took them home to plant. We purchased them from Whole Foods, and they were very affordable. 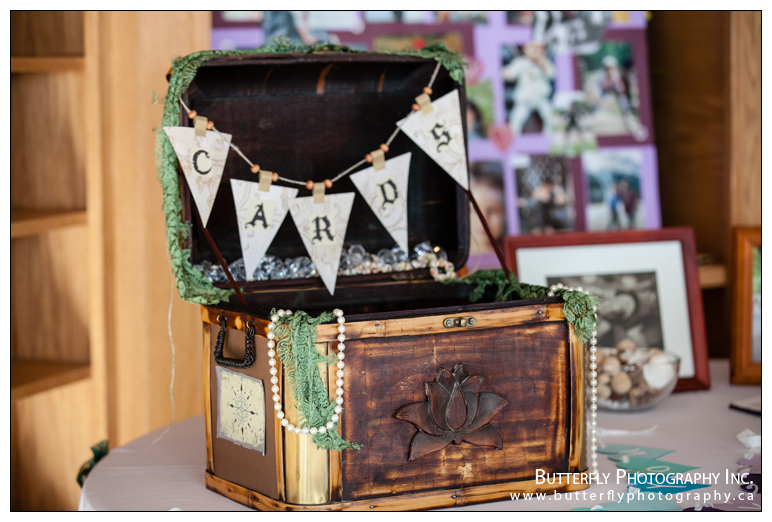 To save costs, my fiancée and I did a lot of DIY décor crafts involving paper: heart strings, petal cones, our custom designed guestbook pages, mini-banner for our Treasure Chest card box, heart buntings, as well as our wedding invitations. Now, to be honest, if I was going to be super eco, I would have used 100% post-consumer recycled paper. But I didn’t. I bought a large booklet of acid-free scrapbooking paper from Michael’s that came in tons of patterns and colours. 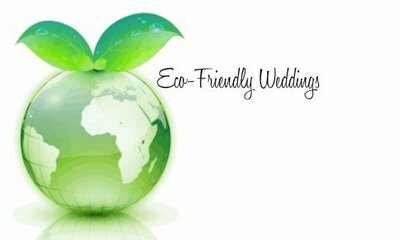 I still consider this eco-wedding décor however, because it is recyclable after the event, and also re-usable – the heart strings now decorate our home. I must admit, I was getting stressed over lighting for our reception. We had already purchased white Moroccan lanterns for our centerpieces, to use with votive candles, but I wanted more lights to take advantage of the fantastic rafters in our venue. However, most options required extension cords, worrying about electrical outlets, or figuring out how to turn them on. I didn’t want someone having to go around with a ladder when it was getting dark! 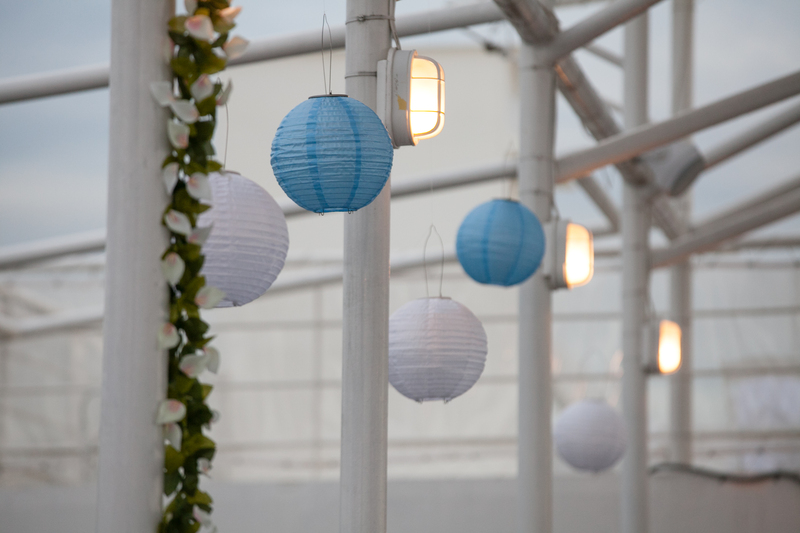 We see so many beautiful wedding photos with cafe lighting, coloured uplighting, or tons of paper lanterns- only to covet something we simply cannot afford. The expense of mood lighting! Oi. Then I discovered Soji Solar lanterns and my lighting and budget concerns were solved! They are easy to assemble, and the solar panel charges during the day and automatically turns on when the sun goes down. 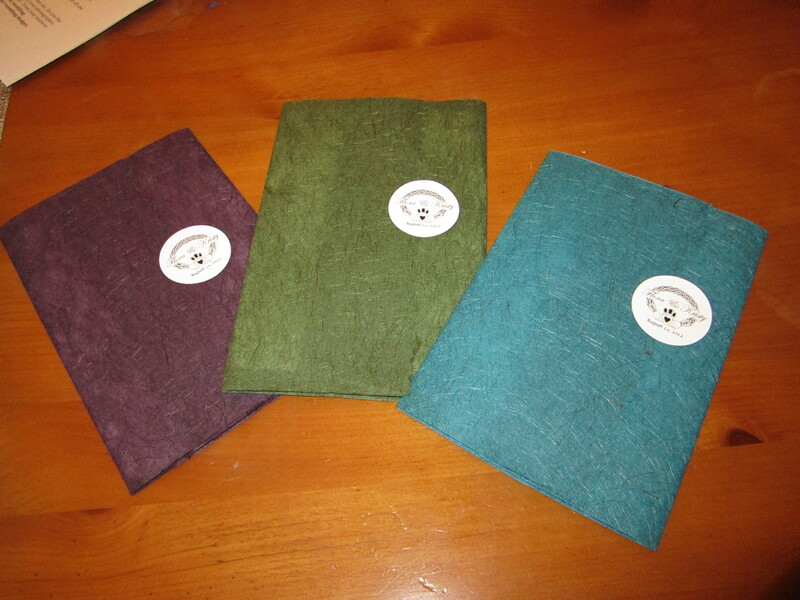 They are an affordable, easy-to-use, eco option. One thing to note however, is that they won’t turn on if they are close to artificial light, due to the sensor. 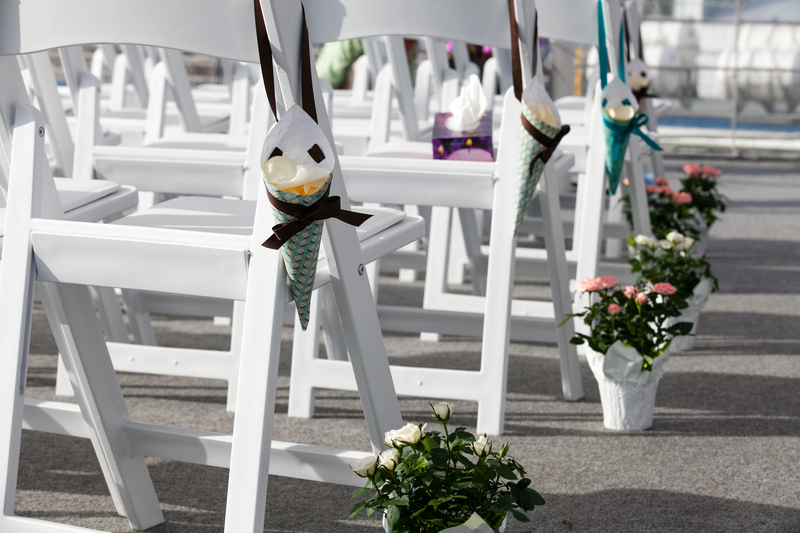 So they are ideal for outdoor weddings, and areas that are poorly lit. 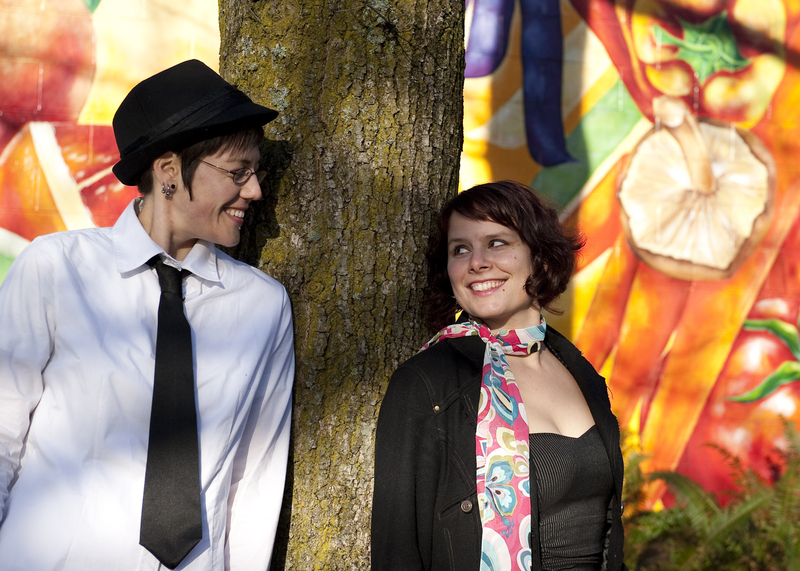 So that’s how we decorated our eco-wedding! It looked beautiful and didn’t all get thrown out at the end of the night. 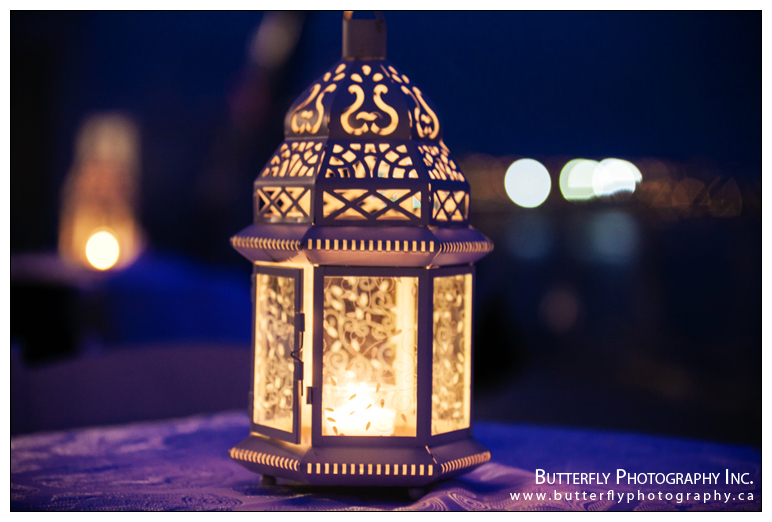 In fact, the venue ended up buying most of the Moroccan lanterns from me, on the spot! 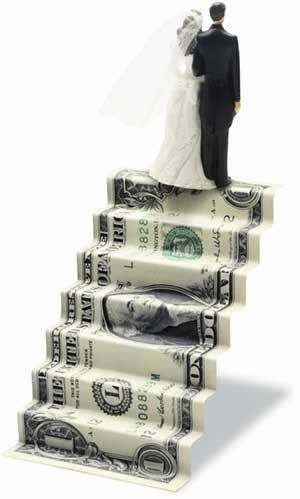 It sure was nice to receive a cheque after the wedding, Lol! 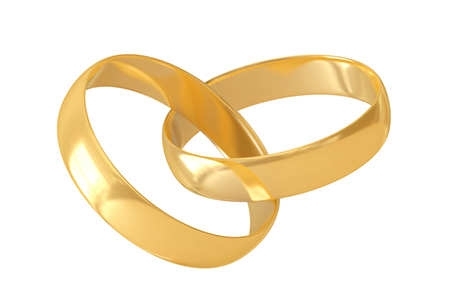 Weddings don’t need to be wasteful affairs. And you can still have a fabulously chic event! 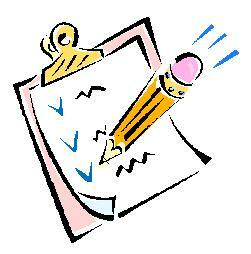 For a more complete list of how you can plan a green wedding, check this out. It’s worth it! In my last post I talked about the pulling-out-hair moments that can accompany your DIY attempts. What’s that famous quote? 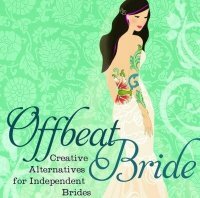 “The best laid plans of DIY brides often go astray.” So true. Fortunately, they are not all grief and despair. Some craft projects are easy, pain-free, and so affordable that you just love making them. This was my experience making heart strings! I had to figure out how to make them by studying the photo, since there was no tutorial. 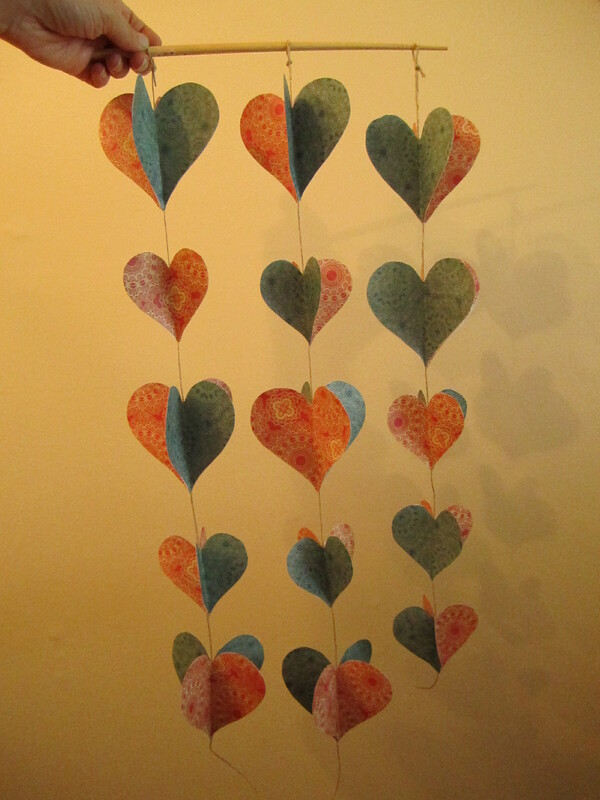 They seemed to be constructed from four, identical paper hearts, glued together with a string down the middle. So, I went to Michael’s to get pretty paper. I lucked out and got a big book of 180 sheets of craft paper at 50% off, with lots of patterns and colours. First we had to make a stencil. I downloaded a simple heart shape from the interweb (after my sweetie’s attempt at “free hand” didn’t work out so… symmetrically), uploaded it to a word doc, and made two different sizes. We also made a star stencil, since we plan to make star strings as well. My partner drew them onto the card stock, and cut out the shapes with an exacto knife. Then we traced as many hearts as we could fit onto the craft paper. 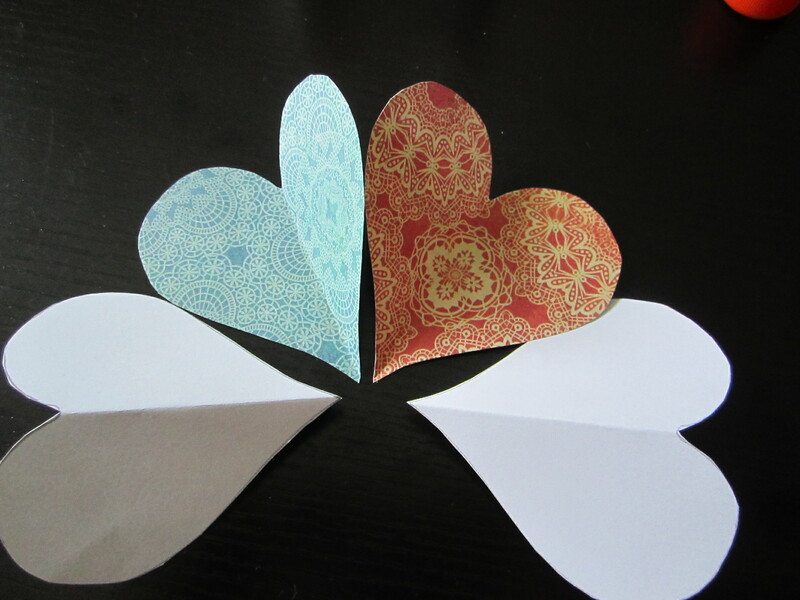 You need four to make a heart, and I chose to use two different colours that had the same background pattern. To assemble them easily, you will need to fold them in half. 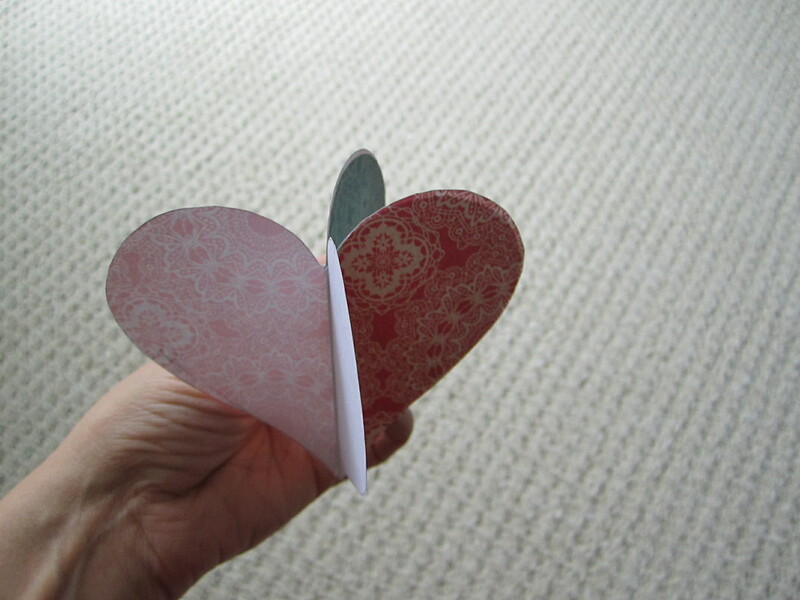 Then, take the glue stick and attach three of the hearts together, aligning as best you can with the center fold. The 3-D heart quickly takes shape. 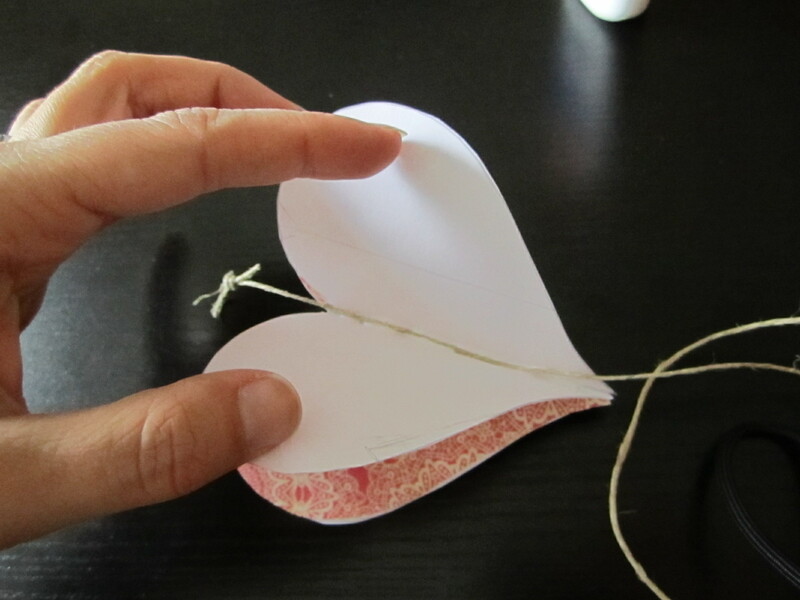 Have your twine/string ready, and put a line of white glue down the “spine” of the heart, on the open side. 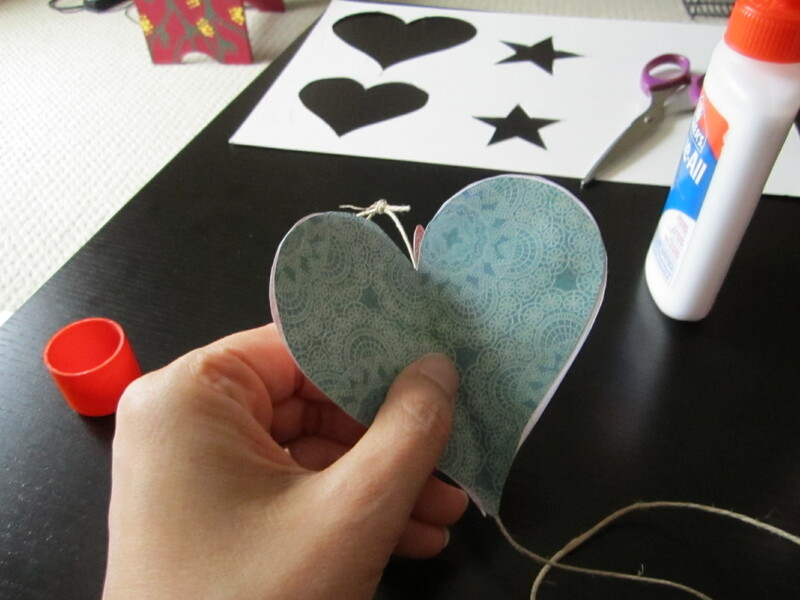 Place the twine into the glue, where you want the heart to be on the string. I used my finger to push the twine into the glue, to make sure it adhered nicely. 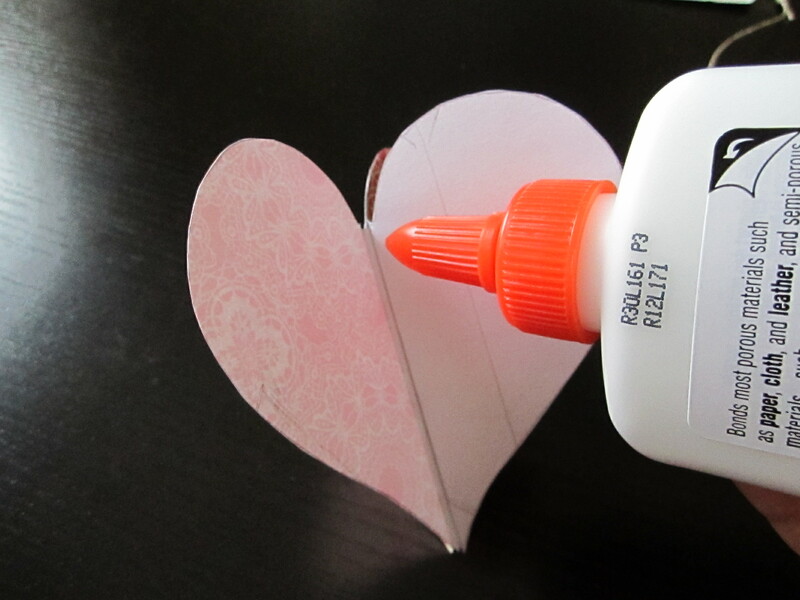 Glue the last heart on, and make sure it’s all stuck together. For a few days in a row I worked on this craft. 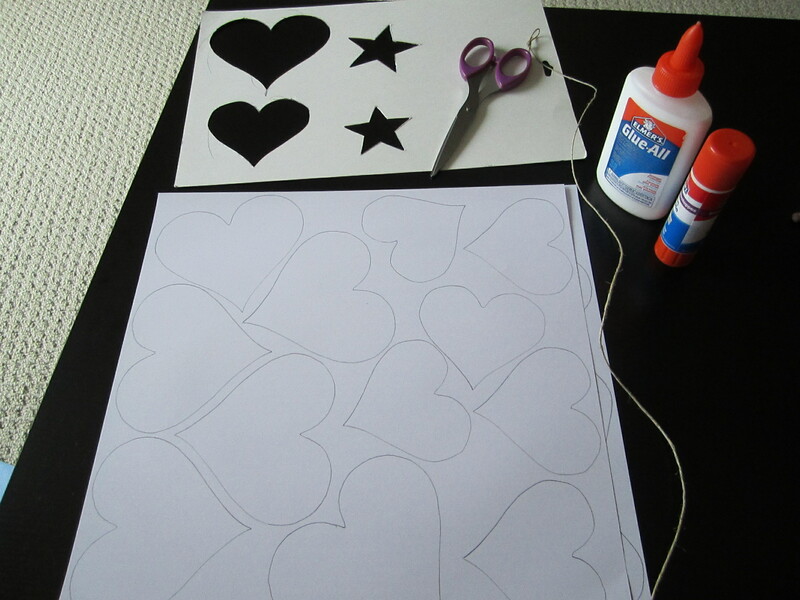 I even started watching really bad wedding shows on Netflix as I traced, cut and glued the hearts. After three episodes of Bridezillas, I’d had enough. Of the show, that is- I love making these! We finished them off by tying two wooden beads at the bottom. In total I made 6 strings, and intend to make more. 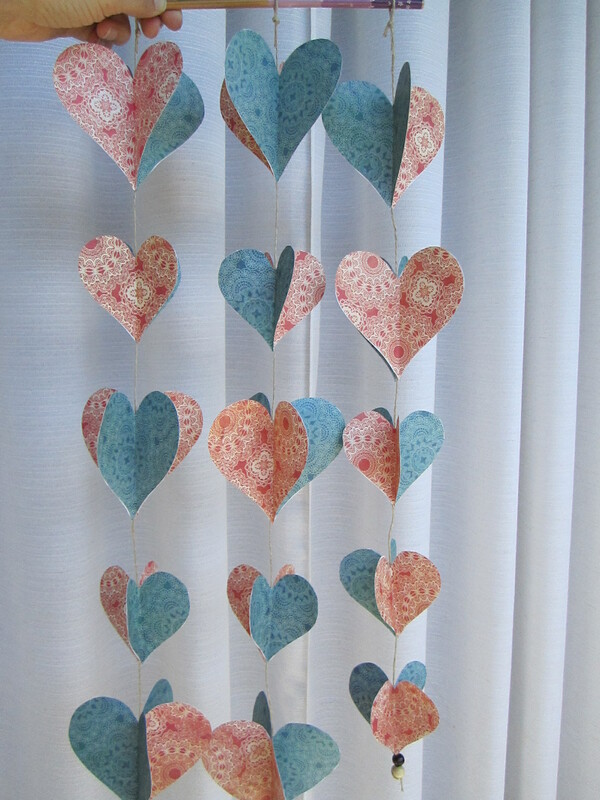 They are a cheap, easy, and pretty DIY craft for wedding decor, and I will definitely use them to decorate my home after the wedding, or if they are damaged they are easy to recycle. Bonus! 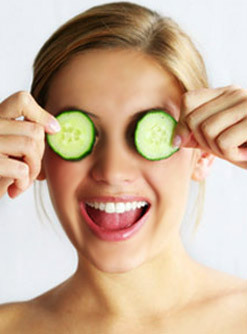 Please let me know if you give these a try too! It’s almost a given for every couple getting married that they will do some DIY. The type, style and amount of DIY projects is up to the individuals involved, but gettin’ crafty and saving a few bucks is the norm these days. However, it’s not always a sunny day in Martha Stewart’s craft room. Glue guns can burn you. Paper really can cut you. You may run out of a supply before you are finished, or realize halfway through a project that you are doing it wrong and need to start over. Or, such as in my case this week, technology can fail you. Two weeks ago we received a package in the mail. 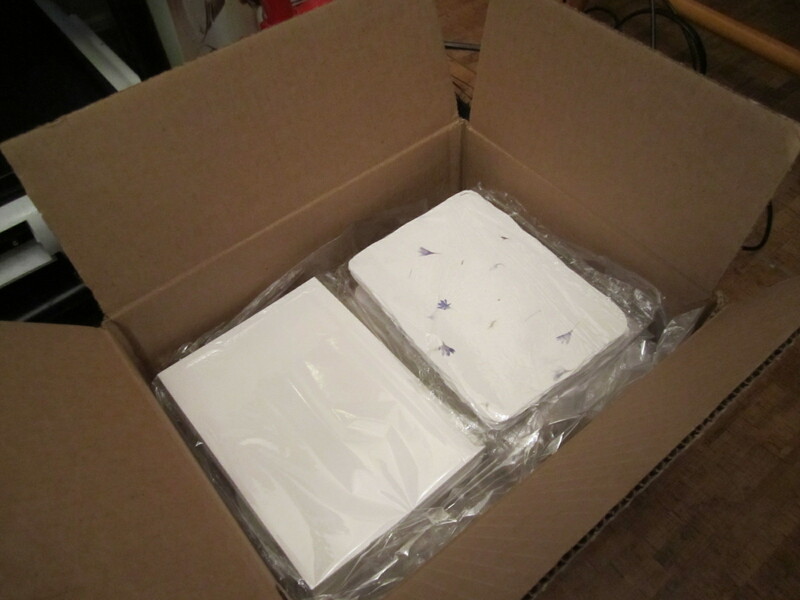 Our invitation paper supplies had arrived! We chose to assemble them ourselves at home because a) it would save us money, b) I wanted design control, and c) I thought it would be easy to do. I. Was. Wrong. I spent hours getting the layout just perfect. We deliberated over the wording for a few days. 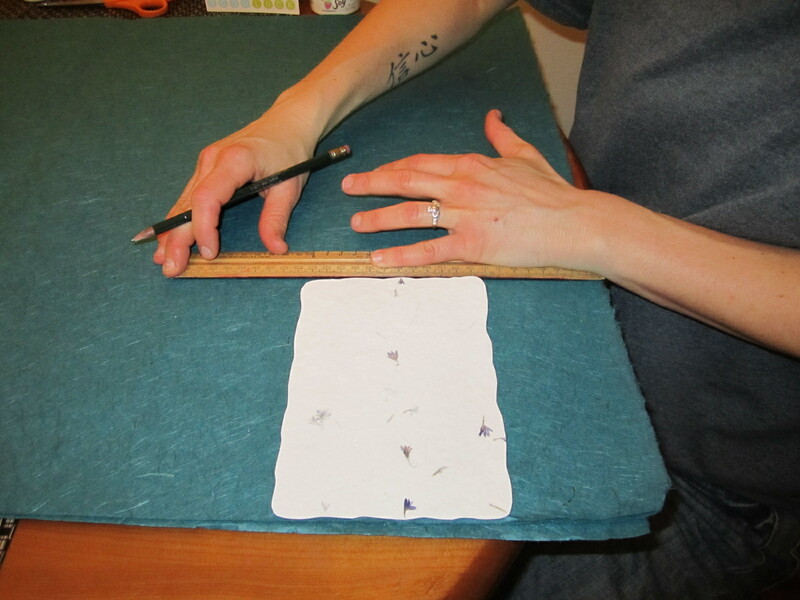 We spent three evenings cutting the gatefolds, in preparation for the big assembly, and even had a friend who has fantastic hand writing come over to address all our envelopes. Then, when we tried to print a sample on the vellum paper, the printer didn’t like it. It pulled it through, but wouldn’t print on it. 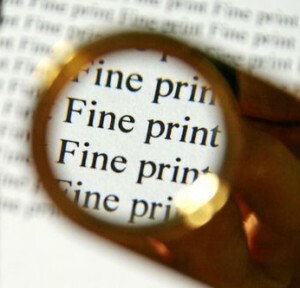 Angrily beeping, crunching noises coming from within, the warning on the screen read: Paper loaded incorrectly. A quick google search and I discovered that vellum is notorious for being difficult with home printers. I called the lady who I purchased our supplies from, and she suggested we try it on a friend’s laser printer, that maybe it was the ink-jet printer that was the problem. One woman online said she had to tape it to regular paper and then it worked. We tried that, and it worked once, and then continued to chew up the others. As well, that one good print we got turned blurry after 10 minutes of drying. And really, I didn’t want to have to tape 70 invites- too finicky. Overall, it was a complete bust. Was I upset? Did I cry and throw a tantrum? Surprisingly, no. 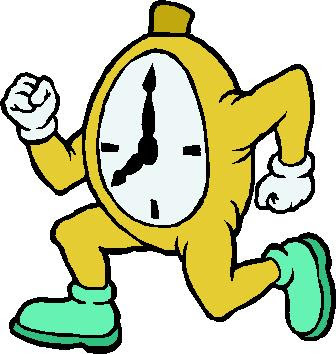 I knew that I could eventually troubleshoot this problem and figure it out, and I wasn’t stressed about the time because we were doing this early. Therein lies one of my best pieces of advice for all DIY brides: get things done early. 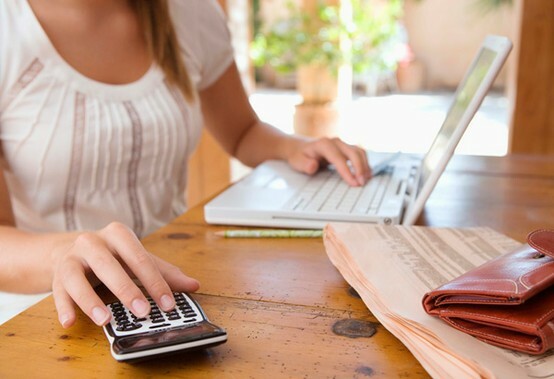 If you want something done by a certain date, start it a month, or months, before. Pay no mind to your bridesmaids or co-workers who tease you for working on your wedding crafts/decorations/favours 6, 8, 12 months ahead of time. Who wants to leave it all to the last minute? You want to be able to enjoy your engagement, so spread out the work load (and yes, that means delegating tasks to your hubby-to-be-too!). Fortunately, this warning tale of the Dark Side of DIY has a happy ending. Turns out, the business owner was right, and my friend’s laser printer worked perfectly. 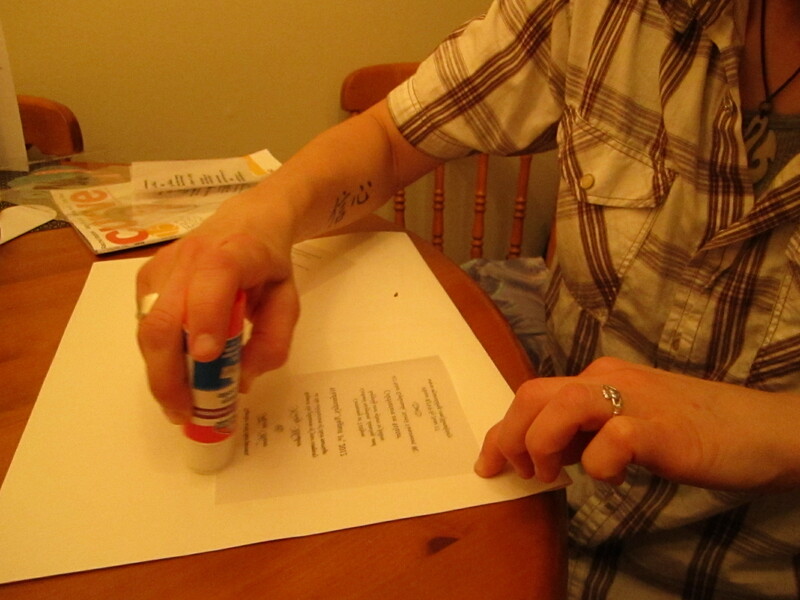 My fiancée and I went home and right away spent the 45 minutes it took to glue the vellum to the card stock. 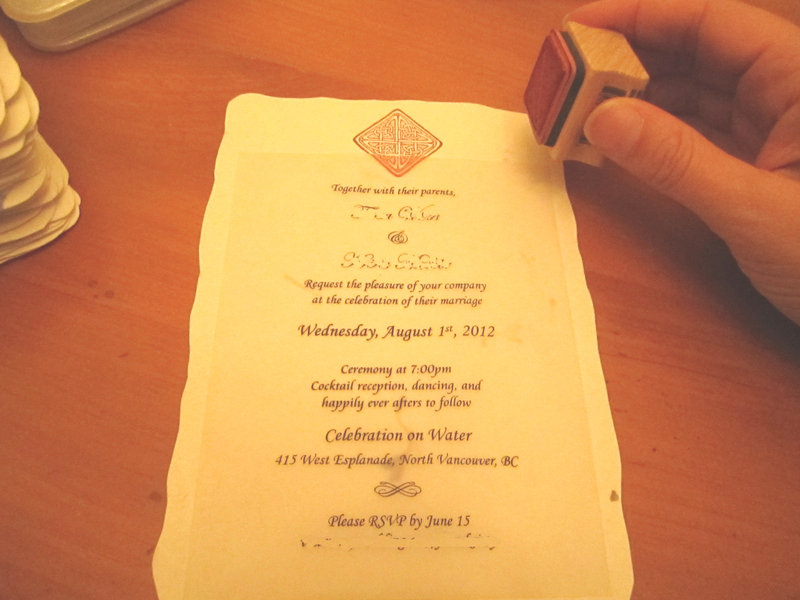 Then we tested the Celtic knot rubber stamp on the invite. Here’s how it will look inside the gatefold, and then sealed with our monogram sticker. My other fabulous pieces of advice in regards to DIY-ing your invites are to have extra; address the envelopes while they are empty; and don’t stamp them until they are addressed. We did one and two, but eagerly stamped before they were all addressed, and one goof and you waste a stamped envelope. 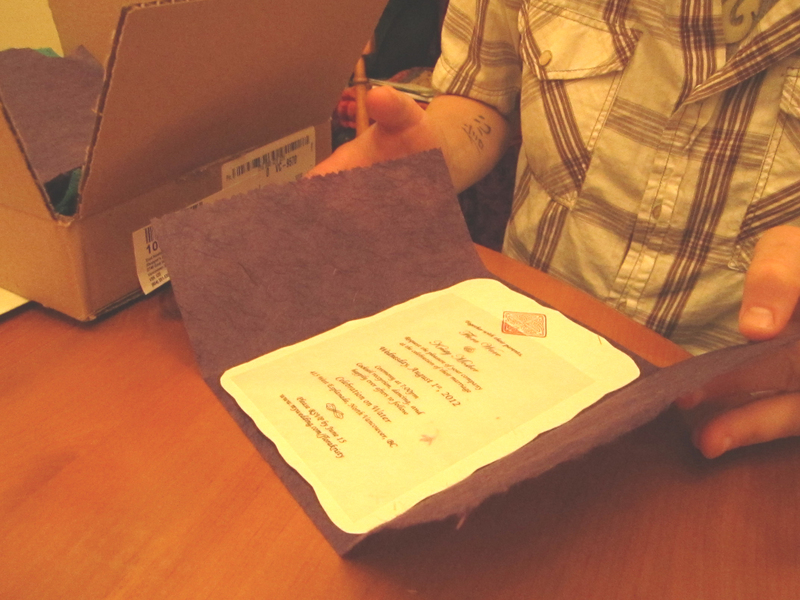 Despite the bit of stress at not being able to print them on our own printer, I am glad we chose to DIY our invites. With the right supplies, time, and some imagination, you can create truly unique invites that reflect your wedding style and even, in our case, your environmental values. 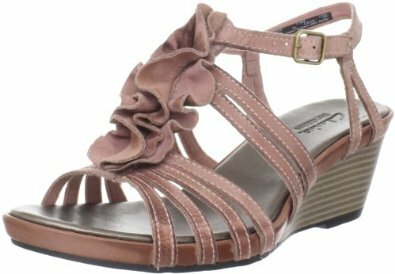 Best of all, these were affordable! 70 invitations cost us $137: that includes the cardstock and vellum paper we bought from sweetinvitations, the gatefold paper we got at a local paper store Ya-ya Paper, and the monogram stickers from Vistaprint. Add postage and our grand total is $168. That’s $2.40 per invite. It’s been such a crafty week here at our place. 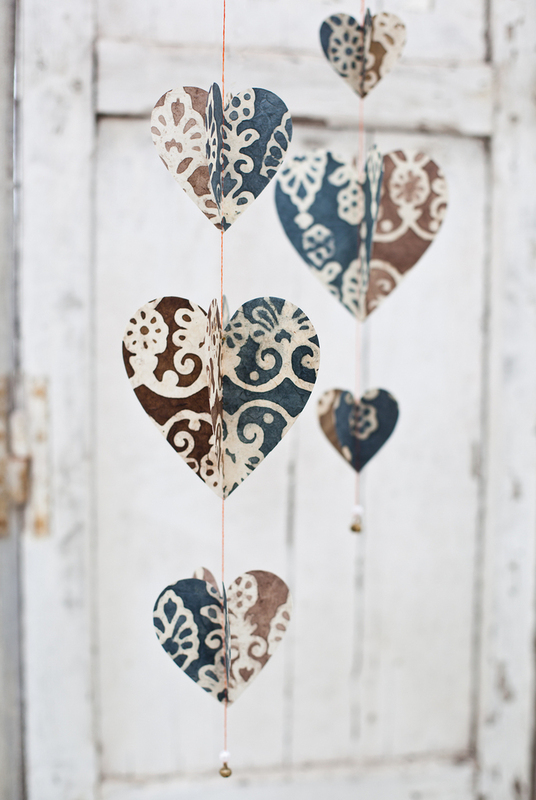 I’ll leave you with a little teaser of the other DIY wedding decor we’ve been working on… heart strings!